It looks like Netflix wasn’t blowing smoke when they claimed that 45 million people had watched Bird Box in the first week of its release. The streaming service has been pumping out tons of original content in recent years, but many of their movies have had a tough time landing with critics. And even the ones that have garnered love, it’s been tough to know just how well they’ve done, as Netflix is notoriously stingy when it comes to sharing any sort of ratings information. However, Nielsen has just backed them up on this one. Nielsen is in many ways the gold standard when it comes to ratings. Even though Netflix has refuted what other companies have claimed to be accurate ratings figures for their titles in the past, this new report from Nielsen seems to line up. According to the company, Bird Box was streamed by a staggering 26 million U.S. Netflix subscribers in its first week of release. That means roughly 44 percent of their subscribers in the U.S. have seen Bird Box, which is a pretty astonishing figure. This comes scarcely a week after Netflix offered a rare glimpse into their ratings, when they claimed that 45 million people had seen their hit horror/thriller within the first week worldwide. It speaks volumes about the success that Bird Box has enjoyed, given that Netflix felt the need to brag about it. With these new numbers from Nielsen to back them up, that seems more than plausible and demonstrates just how big of a hit this has been for the world’s largest streaming service. The movie, directed by Susanne Bier, has drawn understandable comparisons to A Quiet Place. But instead of being quiet, those stuck in this hellish landscape can’t look at the monsters or they’ll face certain death. The cast includes Sandra Bullock, Trevante Rhodes, Sarah Paulson and John Malkovich. With numbers this strong, it’s no wonder there’s already demand for a sequel, but Bier, for the time being, is content to just focus on the fact that Bird Box is doing well. Here’s what she had to say in a recent interview. 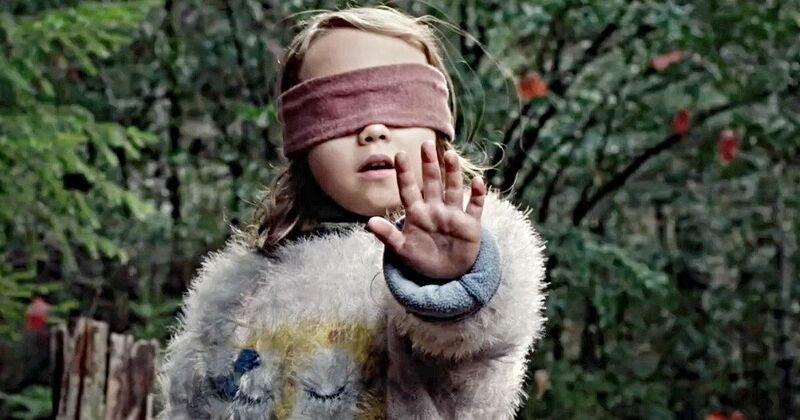 Bird Box currently holds a 63 percent approval rating across the board, from both critics and audiences, on Rotten Tomatoes. One can’t help but wonder if Netflix would have fared well if they had done a larger theatrical rollout for the movie. It did play in limited theaters throughout the country, but there wasn’t much box office to speak of, as many people were clearly happy to stream the movie at home. In any event, this is another huge success for Netflix and another brick in the wall of their stranglehold on the streaming market. This news was previously reported by Deadline.